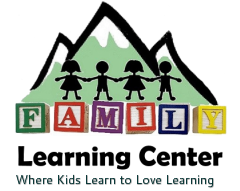 At the Family Learning Center, we incorporate 7 Key Values into our curriculum. The Key Values serve as a foundation for how we teach and interact on a daily basis. As part of all lesson plans, we support the inclusion of the Key Values in the vocabulary of children and staff at the FLC. Exploration of the Natural World.